Oman is one of the few countries who successfully carried out their nationalization program. Oman has also taken giant steps over the last forty years towards becoming a thoroughly modernized, cosmopolitan state. 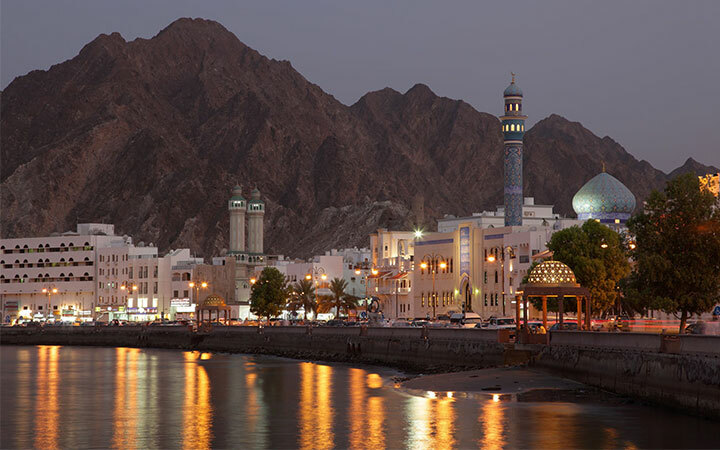 UNDP Ranked Oman in 2010 the world’s most improved country over the last 40 years. Major industries in Oman include crude oil production and refining, Liquefied natural gas production, construction, cement, cooper and steel manufacturing, chemical and optic fiber production. Expats moving to Oman should prepare themselves for both financially and culturally rewarding experience. This region has much to offer for expats with the stunning and unspoiled landscapes, rich marine life, stable political climate, a low crime rate, an ancient culture and genuinely hospitable people. The green fields of Salalah and the Oman Fjords in Khasab, and the beautiful beaches south of Muscat are just a few of the preferred weekend destinations amongst expats. Oman also offers a wide range of restaurants, bars, social clubs cinemas and shopping malls to choose from for expat professionals. Close to 90 percent of expats in Oman report a much higher satisfaction level with the state of their current economy than expats across the world. And more than 90 percent of them are satisfied with the current state of the Oman economy. Oman offers high standard of education and modern facilities catering for a wide variety of nationalities. Settling down is also made easy in Muscat by the number of active social clubs and organizations rate.